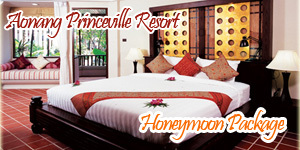 Browse > Home / Best Deal, Krabi 4D3N Packages, New Release / Krabi 4D3N Great Escape Package. Krabi 4D3N Great Escape Package. Day 1 Meet and Greet. ——- Pick up from Krabi Airport then transfer to the hotel. bite and taste local delicacies on the street or restaurants, etc. Day 2 Krabi 4 Islands excursion by traditional longtail boat. ——- Breakfast at the hotel. 08.30 Pick up from hotel, transfer to the pier. 09.30 Ready to enjoy the island trip. Boat leave from the pier. – Chicken Island – The island with funny rock shape, looks like a chicken. Popular location for excellent snorkeling. – Tup Island OR call Miracle Bay – One of Thailand highlights. Tup Island is situated along Koh Dam Kwan. As the tide recedes, a beautiful sandbar is exposed. swimming and snorkeling. Enjoy great underwater adventures. Explore colorful corals and reef fish. 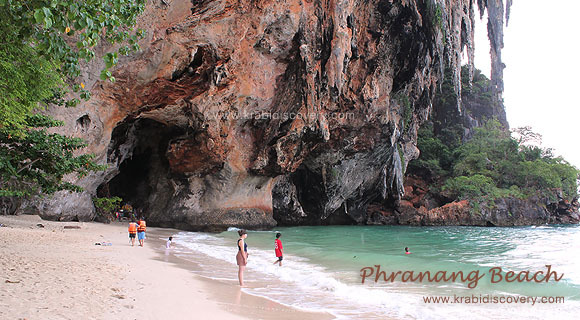 – Pranang Cave: A very famous cave with white sandy beach. 16.30 Return to the pier and transfer back to hotel. Day 3 Choose 1 tour option from below. 07.00 Morning breakfast at the hotel. 08.00 Pick up fro the hotel for the tour of the day. 16.00 Back to the hotel, free and easy on your own. James Bond Tour ( with kayaking at Tham lod). 07.00 Morning breakfast at the hotel and free & easy on your own. —- Transfer to the souvenir shop for some shopping then go straight to Krabi Airport. 3 nights accommodation base on twin / double sharing. 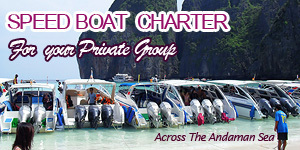 Krabi 4 islands excursion by traditional longtail boat. Choose 1 optional day tour. 3 breakfast at the hotel. Tour equipment ( Mask, snorkel, life jacket, canoe ) and English speaking guide. Seasonal fruit and drink during day tour. Airfare, dinner and Marine National park fee on day 2. To be paid directly to the officer on the island @ 400 Thai Baht / adult and 200 Thai Baht / child.